The Writing Center at UNC has put together a large collection of writing resources for college writing that are excellent tools for teaching homeschool high school composition. The center’s downloads and videos offer detailed explanations about research, sourcing, organization, editing, and proofreading, voice, fallacies, thesis statements, and dozens of other writing topics. The resources are arranged alphabetically, which unfortunately makes them easy to find by topic but doesn’t offer much in the way of an orderly progression for teaching. 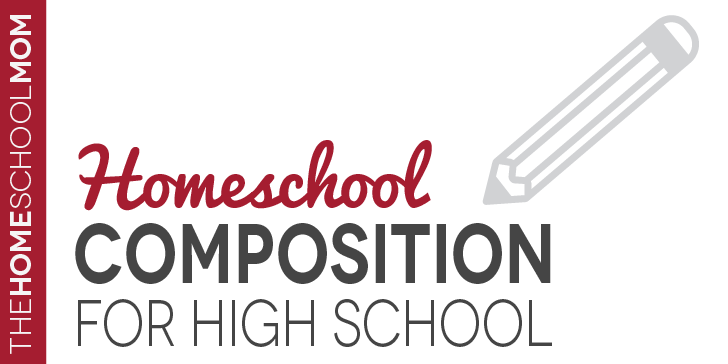 I put together a suggested order of study to use the resources for composition for a homeschooled high school student and thought I would share it with you as the second part of this post. In our case, we are using this for a literature composition, but literature compositions can be the most difficult type to write. It might be more effective to initially use the process with a non-fiction topic of choice instead of an essay on a particular book. Before listing the assignments, I want to share some thoughts about composition in general and breaking free of the typical high school format in order to better prepare for college writing. 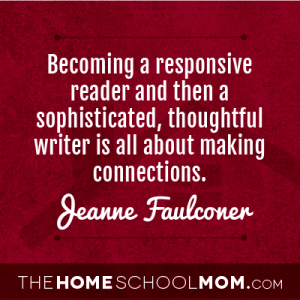 To help the kids who don’t write naturally and easily, we can’t just keep putting super structure on top. We have to get them comfortable with the mystery. Get them comfortable with their voices. Get them comfortable with their opinions. Get them comfortable asking questions. Get them comfortable forming a hypothesis (thesis). Then seeking evidence. When they have these things, and can be sure that they won’t be skewered, they will begin to reach through their discovery toward expression to whatever extent they are able at that stage of development. The purpose of research is not to look for proofs that would fit the author’s pre-existing theories, but to learn about the subject of the investigation as much as possible and then form those theories, opinions, and arguments on the basis of this newly found knowledge and understanding. And what if there is no data that prove your theory? What if, after hours and days of searching, you realize that there is nothing out there that would allow you to make the claim that you wanted to make? Most likely, this will lead to frustration, a change of the paper’s topic, and having to start all over again. Not only will this inconvenience you by making you to race against the clock to meat the deadline and to do lots more busywork than necessary, but it will also be a waste of time because you will not learn anything new. Even if you manage to create a neat and efficient paper, it will be false research, simply jumping through hoops in order to fulfill another meaningless school assignment. Hi, my name is Cathy, I was thinking about mentioning this to my daughter, but i have a ? 1st… she is a 23 yr old single parent with a fulltime job, she quit school either in the 11th or 12th? She was taking classes online and I do believe she does have some credits? However, when her son was born, she went straight to work and has recently been talking about finishing to get her high school diploma… is this something that would benefit her is my ? Hi Cathy – It’s great that your daughter is wanting to finish her high school education. I think this resource would be very helpful for her to develop her writing skills. This approach can benefit students at just about any level from middle school through adulthood because the approach doesn’t change with skill level. It’s all about writing, organizing thoughts, revising, and proofreading.